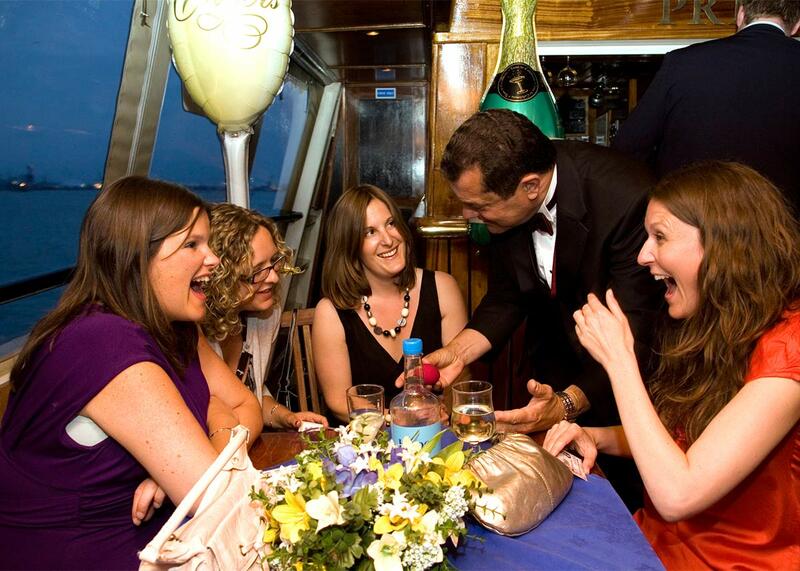 Every event is a unique occasion with Paul’s magic. 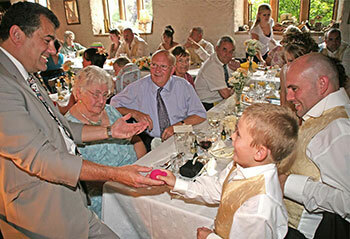 Amazing magic for wedding guests, something special for parties or cabaret magic with stunning illusions. Everyone loves to see the impossible. 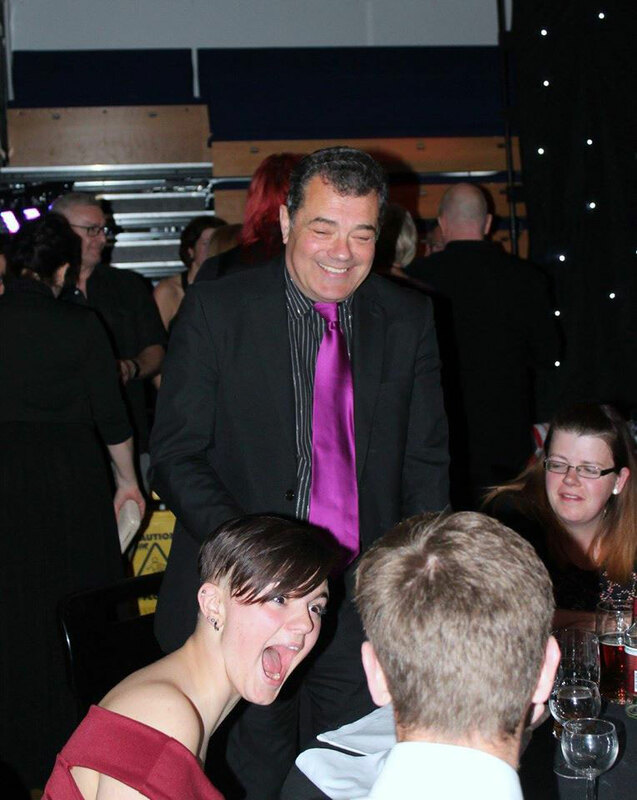 If you are planning an event or special occasion then my amazing walk-around magic can provide some brilliant entertainment to get your guests laughing and talking. The amazement is guaranteed and it produces startling reactions from all ages. 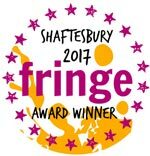 21 years of experience are wired in to every performance and my expert magical skills have won the Bristol “Close-up Magician of the Year” award a record eleven times plus membership of The prestigious Magic Circle in London has established me as one of the top magicians available in the West country. 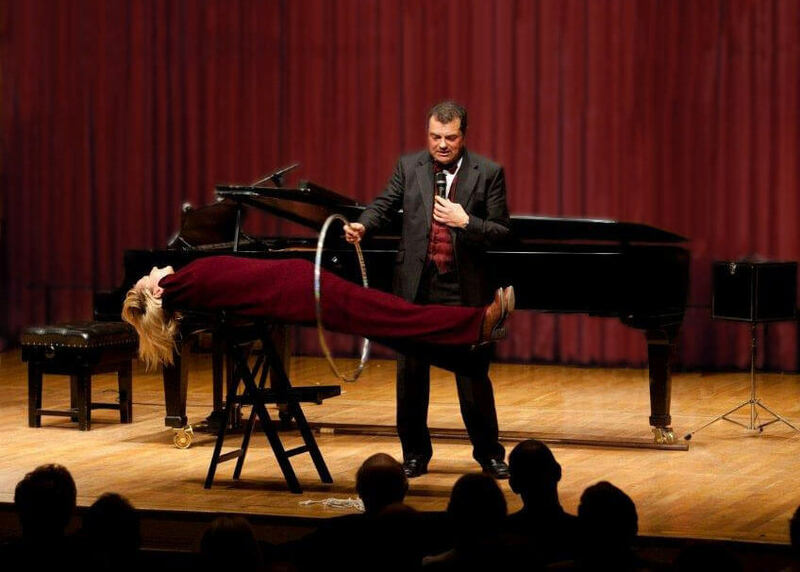 For after dinner cabaret or formal style shows I also offer a comedy magic cabaret show featuring a dramatic levitation and sawing in half illusion. Read on for more details about one of the top magicians and watch the video to see how your event can be a magical occasion as well. Don’t hesitate to ask for a quote on the reply form. I look forward to hearing from you and discussing your event. 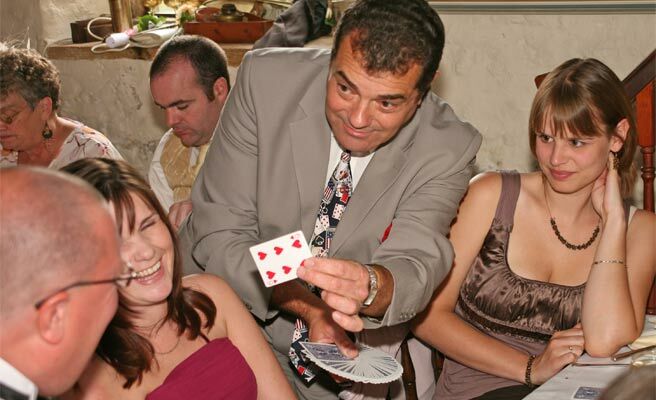 Nothing enthrals wedding guests more than a lively close-up magician and provides a great way to keep your guests entertained. It brings a special atmosphere to the day which everyone can enjoy. 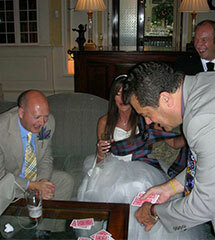 Close-up magic is ideal at certain times of the day when your guests will love to enjoy this unique style of entertainment. 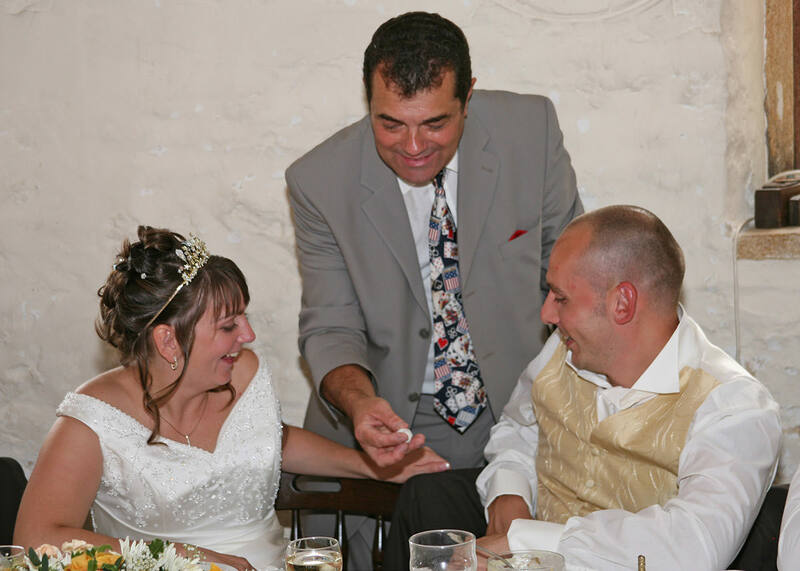 I can advise you on exactly the right times when close-up magic works best for your guests and ensure it fits perfectly into your day. It adds a special feature to the occasion that gets great reactions and people talk about for ages. For a quote use the contact form and let me know the date and details of your event. 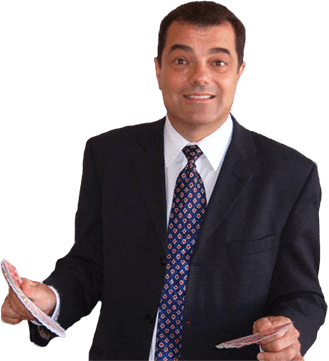 My amazing close-up magic is a brain zapping experience which is amazing to watch and fun to enjoy. 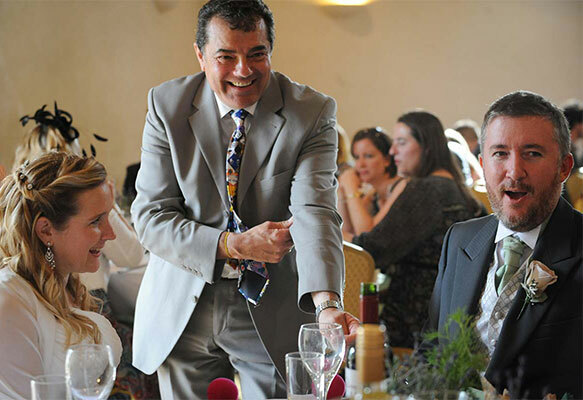 Regularly booked for a wide range of events including dinners, parties, anniversaries, and weddings, close-up magic is hard to beat for its entertainment value and versatility. 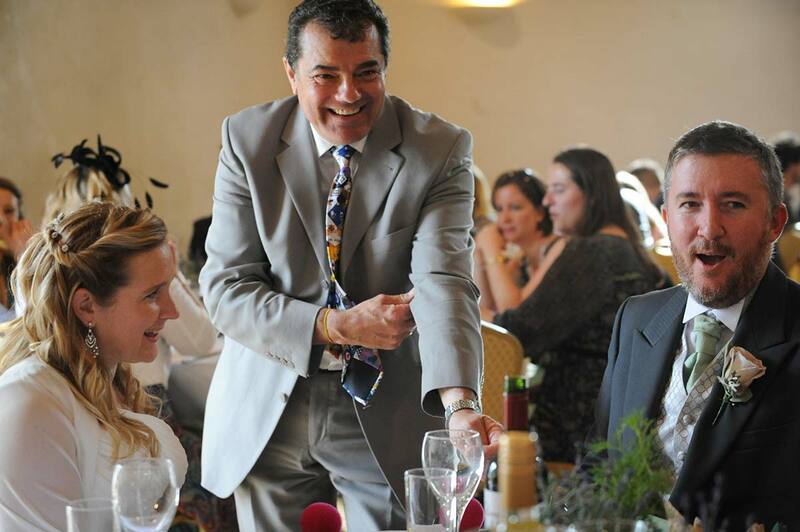 A member of The Magic Circle with a 20 year track record of successful bookings, you can leave the entertainment to me and your guests will have a great time being amazed as they enjoy seeing magic performed ‘up close’ with a touch of fun and humour. For something very special I also perform a comedy style ‘stand-up’ magic act. It’s great entertainment for an audience of 20 to 100 or more people. It’s especially suitable for family get-togethers, after dinner entertainment, fund raising events, banquet events and small scale theatre venues. As well as several tricks including members of the audience is the dramatic levitation of a volunteer and the classic sawing a person in half. Running from 20 up to 50 minutes it can be tailored to suit your event and provide some fantastic entertainment for all ages to enjoy from teens upwards. 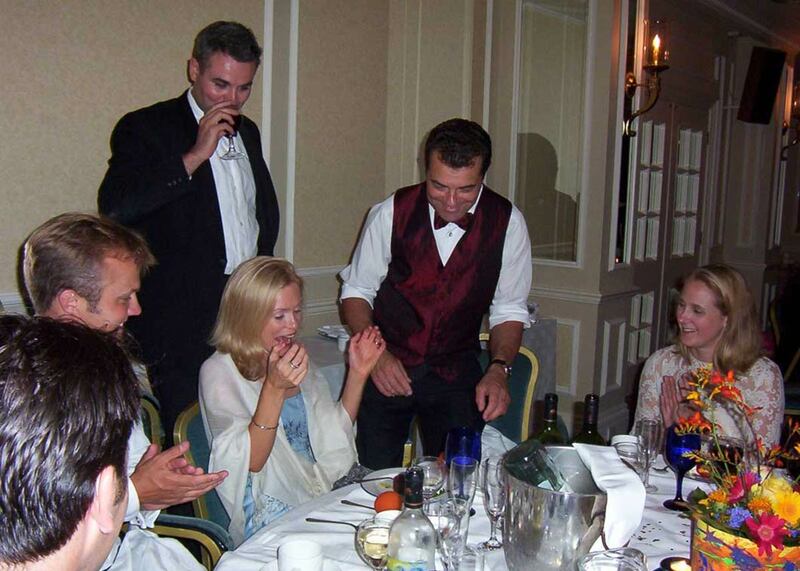 Guaranteed amazement, brilliant skills and experience gained from 21 years performing provide a superb entertaining experience for your guests producing great reactions & happy memories. Yes, definitely as any high quality magician will be a member of the UK’s most prestigious magicians club allowing me to display the logo. Do you have any testimonials or recommendations for previous clients? Yes, they are included on all the pages of this website from many happy clients thanking and recommending me for the performance at their event. I’ve won the Bristol “Close-up Magician of the Year” award a record 11 times plus cabaret and comedy awards from the Bristol Society of Magic the region’s largest Magic society. Across the West and South West, South Wales and West Midlands as well as the South Coast and Home Counties. I’m probably not the most expensive but I’m also not the bargain basement level either. Factors like distance, performing time and days of the week will all affect the quote I can offer. Yes, as a member of Equity (the Actors and Entertainers union) I am covered by the Equity Standard members public liability policy up to £10,000,000 covered by Hiscox Insurance Company Ltd. Superb performance last night. After you left they did not stop talking about it all night – adults and children and it was the last thing they mentioned as they all left this afternoon!